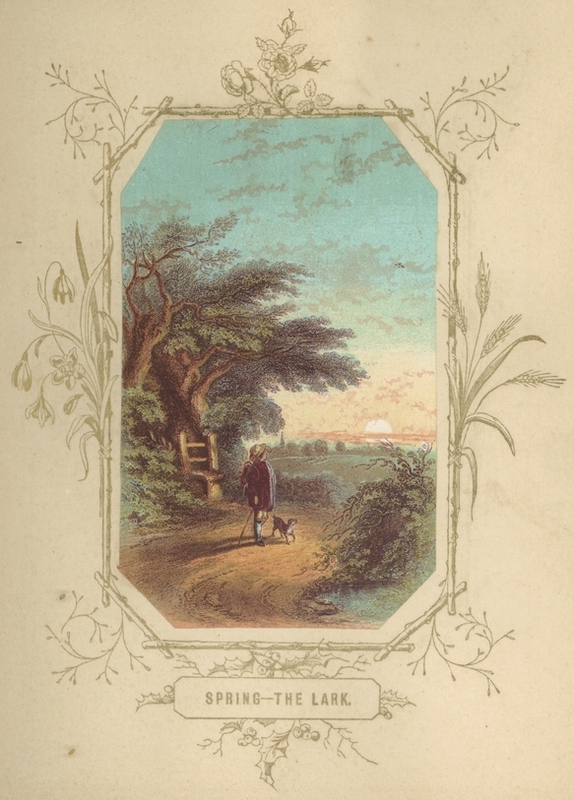 A lovely full-color landscape of a boy ans his dog walking down a tree-lined dirt road into the sunset. The central image is surrounded by a twig and floral frame. Download this full-sized image to used on a greeting card or other creative project.